For many, the word gold conjures up a sense of the exotic and beautiful items of immense value, or perhaps a secure vault overflowing with gold bars, coins or ingots. 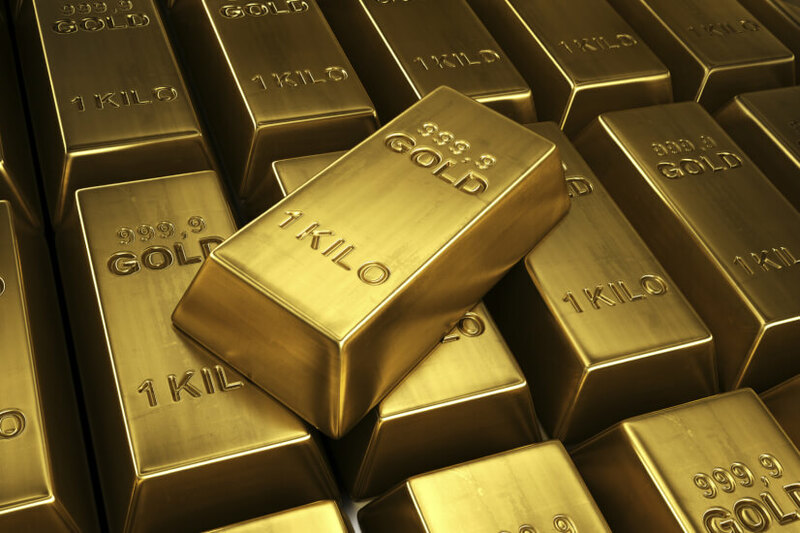 For investors however, with increasing world volatility, gold is a staple in their portfolios as a safe haven asset. Here we take a look at the factors influencing the gold price and how investors can use gold as a hedge for both geopolitical risks and to protect against inflation. In the short term, the gold price tends to be more affected by investors’ views on wider market sentiment, such as unexpected geopolitical risks. For long investment horizons, the gold price moves largely in-line with inflation. 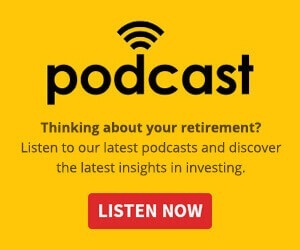 Can silver be an alternative investment to gold? The relationship between their prices may give you some insights. Unlike most commodities, fluctuations in the gold price are driven less by physical demand and supply but more by investors’ views on wider market sentiment, such as unexpected geopolitical risks. The gold price may rise when sentiment in the market is worsening, as gold can be an effective portfolio diversifier, historically uncorrelated to other assets. Additionally, when the world feels a little more threatening, unsettled and dangerous, gold is often viewed as the ‘go-to’ safe haven. Gold can be subject to price variations on different exchanges due to currency fluctuations against the US Dollar (gold is universally priced in USD). These movements can be considerable (e.g. Sterling’s decline post-Brexit) and can have a big impact on overall returns. Whether an investor hedges their gold exposure to their local currency should depend on the investor’s views on the long-term performance of that currency versus USD, as well as, for diversification purposes, to consider their currency’s correlation with the USD. For instance, Australians may use unhedged gold as it better diversifies their Australian Dollar (AUD) exposure, or because they have a view that AUD is going to weaken against USD. Silver is another precious metal that investors commonly use to hedge event risks and inflation risks, though the silver price is usually more volatile than the gold price. Statistically, it has a beta of 1.4 versus the gold price over the last 10-years, with the magnitude of its price movements much higher than its golden counterpart. 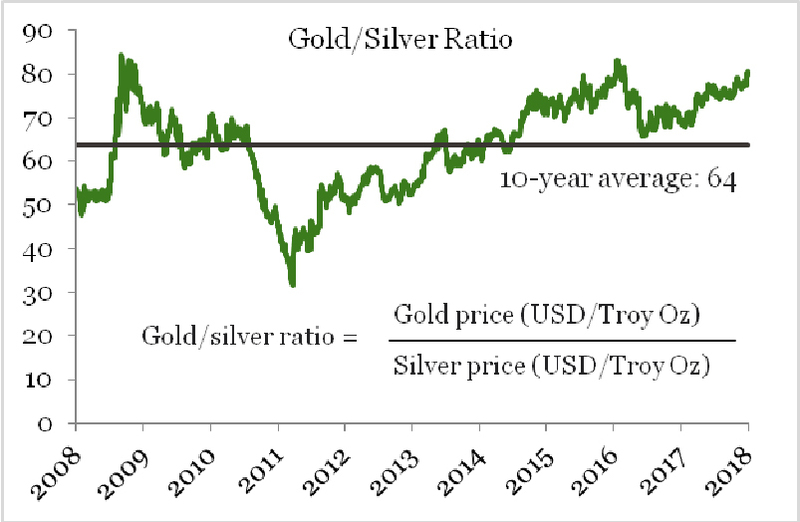 The gold/silver ratio is now standing at 83, considerably high compared to an average of 64 over the last 10 years, which could imply that silver is relatively undervalued.